Barbara Churchley's paintings in pastel and oil are interpretive and expressive. 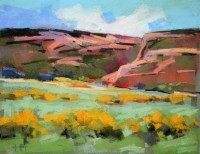 Churchley is a Master Signature Member of the Pastel Society of Colorado, Signature Member of the American Impressionist Society, International Plein Air Painters, Plein Air Painters of New Mexico, and Plein Air Artists of Colorado. 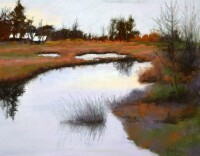 She is an Associate Member of Oil Painters of America and the Pastel Society of America. 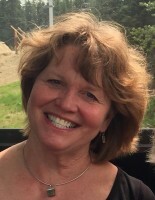 Churchley finds inspiration painting "en plein air" in western Colorado to the far corners of the world, pursuing her other passion of traveling.